Dessert chain Doughnut Time recently announced the closure of a number of its ­stores due to financial difficulty. With a potential sale on the cards at the time, there was the possibility of keeping some stores open and rebuilding the brand under new ownership. However, with the sale falling through shortly after, Doughnut Time went into liquidation. Some millennials will pay the price in more ways than one after the liquidation of Doughnut Time. Unfortunate as it is for those with a sweet tooth, the situation could be particularly grim for the estimated 300 former employees of Doughnut Time owed money. It isn’t just lost job positions and the estimated $200,000 in wages owing, it’s also the possible lost superannuation. There has been public speculation that the liquidation of Doughnut Time is unlikely to produce a dividend, potentially leaving some unpaid staff without the payment they’re owed. It is expected the only way staff will receive their full entitlements and superannuation contributions, is if it is determined there is enough money able to be recovered within the business. The liquidator, principal of Menzie Advisory Michael Caspaney, said if there was no dividend that the unsecured creditors would be forced to write off the loss. Former Doughnut Time workers that are Australian citizens and permanent residents should be able to make a claim through the government scheme Fair Entitlements Guarantee (FEG) for up to three months of unpaid wages and annual leave. Unfortunately, this avenue does not cover superannuation entitlements. This isn’t the first time the Government’s FEG scheme has been in the spotlight. In 2016, Clive Palmers sacked Queensland Nickel workers, resulting in a payout of $73.9 million. This was reported to be the largest payout utilising FEG for a corporate collapse, according to the ABC. This resulted in a massive loss in wages and an even bigger loss in superannuation contributions, damaging the long-term retirement goals of the impacted employees. As an employee, it’s important to be aware of what super contributions your employer is eligible to make, and when. Chances are, if you are 18 years old or over, and paid $450 or more before tax in a month, you’re entitled to super guarantee contributions from your employer. This is irrespective of whether you work part time, casual or full time, or even if you are a temporary resident of Australia. Super payments must be made at least four times a year by the due dates, however they can also be made more regularly as long as the total amount is paid by the quarterly due date. You can check and manage your super directly with your superannuation fund, or by creating a myGov account and linking it to the ATO. If you are unsure whether your employer is paying the super guarantee contributions you’re entitled to, talk your employer and confirm how much super guarantee you have received. You can also report unpaid super contributions from your employer. So, how important is Superannuation? 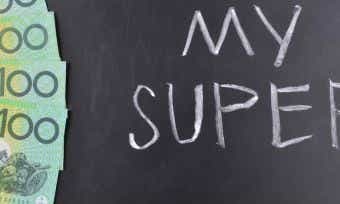 As of July 2014, employers have been required to contribute 9.5% into super, with individuals able to contribute further. 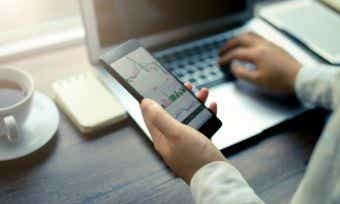 The longer a person has secured super contributions and associated investment earnings, the higher their account balance in many cases, especially over a significant period of time. In the case for the former Doughnut Time workers missing important super contributions, this can have an effect on their future. This is also why young people being illegally paid cash in hand for work should consider the implications of forgoing the superannuation contributions they’re owed, as it can put the size of their retirement nest egg at risk. If your super balance needs a boost, you can consider salary sacrificing, making personal tax-deductible contributions, after-tax or spousal contributions. It is unfortunate that sometimes it can take a scandalous or traumatic event to cause an individual to stop and reassess their retirement wants and needs, and how that weighs up with their current financial position. This is a lesson to not only former Doughnut Time employees, but to all individuals — to partake in self-education about what they can do to protect themselves as an employee for the sake of their future. 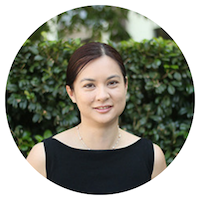 Winnie is a relationship manager at Quill Group and has been working to shape the financial lives of individuals for 15 years. Quill is the largest multidisciplinary financial services firm on the Gold Coast, with an extension office in Brisbane. Quill has a team of over 60 specialists in business accounting, financial planning, insurance and superannuation.